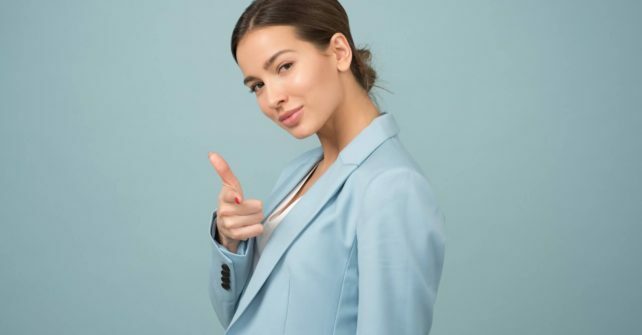 As a life coach who has helped many professionals manage their career goals and realize their ambitions, I’ve seen plenty of cases of low confidence. All people lack confidence at one point or another, and what I can tell you is that it is possible to feel self-assured, even for those who have never felt it before. What people need is a little bit of confidence in the workplace training to give themselves the boost they need to succeed. I recently came across an article that hits the proverbial nail on the head. For organizational psychologist Tasha Eurich, the key to confidence in the workplace lies in one thing—self-awareness. When we are self-aware, we make better decisions, forge better relationships, and communicate our ideas better, all of which leads to more success in the workplace. All the best leaders are self-aware. But according to Eurich, self-awareness isn’t a concept that yields to a simple definition. In her research, Eurich discovered that there are different types of self-awareness, and how we measure against those types determines, in part, how successful we are. In a study that included 10 separate inquiries and 5,000 participants, Eurich came to the conclusion that there are two types of self-awareness. The first, internal self-awareness, encompasses the clarity with which we see ourselves—our values, goals, passions, reactions to internal and external stimuli, and how we view the impact we have on others. External self-awareness measures how accurately we understand what other people think of us, using the same criteria as internal self-awareness but from an outside perspective. We all fall somewhere on the scale for both types, and this combination of measurements illustrates the archetype that each of us embodies. Seekers – This archetype has low internal and external self-awareness. People who fit into this category don’t see themselves clearly and don’t know how others feel about them. Seekers tend to feel stuck and frustrated at work and in relationships. Introspectors – The instrospector archetype has high internal self-awareness and low external self-awareness. While people in this category know themselves pretty well, they tend not to utilize feedback they receive from their co-workers, which can harm their relationships. Pleasers – This archetype is an inversion of the introspector archetype—low internal self-awareness, high external self-awareness. The pleaser’s attention to others’ needs tends to get in the way of his or her own goals. Aware – The aware archetype has both high internal and external self-awareness. People in this archetype truly understand who they are and seek out the opinions of their colleagues to better themselves. Ready for Your Confidence in the Workplace Training? Self-awareness doesn’t just happen. Those who are truly self-aware have gotten to where they are with help. They’ve received some version of confidence in the workplace training, and you can do the same. Are you ready to unlock your confidence and achieve success in your career? Book your free coaching session so that we can discuss what is holding you back. Let’s start your confidence in the workplace training today!